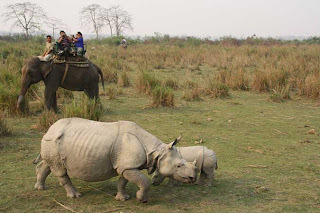 Long time ago in 1904, Mary Victoria Leiter Curzon, wife of Lord Curzon, Viceroy of British India, visited Kaziranga after hearing about the great one-horned Rhinoceros of this region. But, she failed to see even a single one on her visit to this region. She felt an urgent need to save the rhinoceroses and asked her husband to take immediate steps to prevent their extinction. 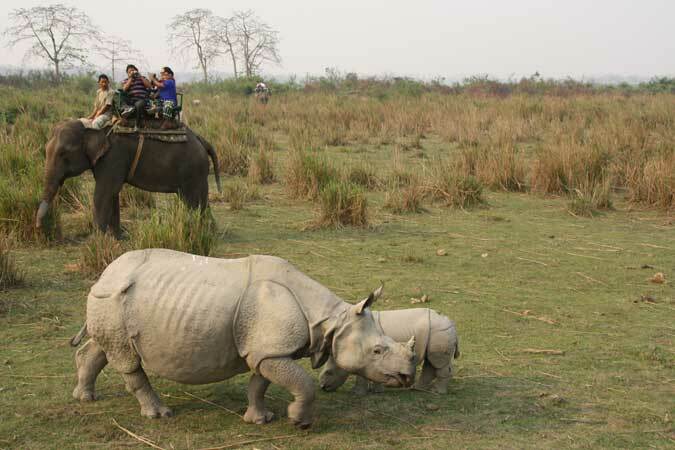 This led to creation of Kaziranga National Park in 1905, though it was a proposed reserve forest at that time. Today, it is a World Heritage Site and is visited by plenty of tourists for exploring different species of wild animals in the reserve. This region can be visited during certain months in a year that are favorable for tourism. There are several hotels and resorts around Kaziranga which offer cost-effective and comfortable accommodations for tourists. For environmentally conscious individuals, there are Eco friendly cottages available, with all the modern facilities. They have well-maintained rooms that are furnished with eco-friendly materials. Most of the hotels and resorts in this region are accessible to all domestic and international tourists arriving by air, rail or road. Some of them also provide pick-up and drop facilities for their guests giving them an added convenience. Visits to the national park can be made very easy with an accommodation in them as they also offer guided tours. Corporate events can also be conducted in such hotels or resorts as most of them have conference facilities that are backed with excellent communication systems.